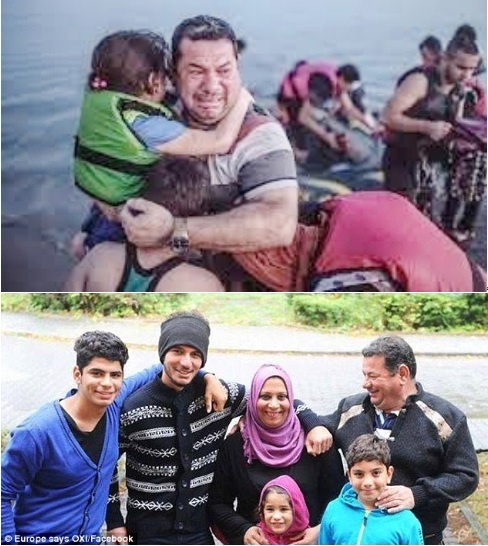 For this post, I looked for an image of Syrian children, the little ones who so need to sit within a community of kindness, at a plentiful table, in safety and peace, and I couldn’t find one that adequately captured their plight. Because there were hundreds, each as heartbreaking as the next. Only by posting every one of them could I capture the depth of bewilderment and suffering in those small faces. Then I saw this family on Facebook. This is what I’m thankful for. Kindness made the difference. Kindness costs nothing; kindness means everything. Kindness can transform the world. I continue to plug away at NaNoWriMo this month, despite having contracted a case of flu. The great thing about the flu is that it’s relieved me of all responsibilities for everything and given me plenty of time to write. I’m bedbound and a little loopy on cough syrup, but the word count is soaring. My husband says I’m milking it. Well, okay, maybe a little. By now, you’ve surely noticed that my blogging presence has dwindled, but I will be back to into the full swing of things in a very short while as November gallops to a close. 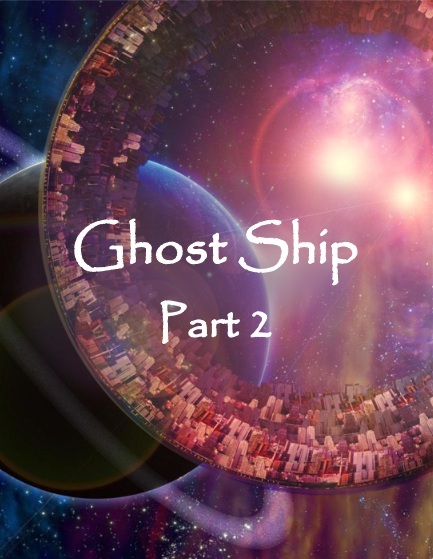 I wish you all a wonderful Thanksgiving and happily offer the conclusion of my short story, Ghost Ship. If you missed the first 3 installments and are interested, you can download the entire thing in one fell swoop HERE . Otherwise, I offer you the links to the previous posts. “I understand fire,” he says, an indignant smirk on his face as he rests his goblet on the mantel. “I’ve just never tended one.” He picks up a log and awkwardly places it within the hearth, careful not to burn his fingers. “Now use the poker to shift the wood and coals beneath,” she instructs. “That will shake off the ash suffocating the flames.” He picks up the iron poker, studies the contraption’s hooked end, and stabs at the wood. The flames leap to life, and he smiles as he turns to her. With his fingers, he traces the tails of falling stars that curl and shift in her arms even as he touches them. She looks up into his dark eyes and threads her fingers in his black hair, drawing his forehead to rest against hers. She loves these humans so effortlessly, so completely, their entire beings suited to her need for connection. She is symbiotic, incapable of living in solitude, as though they embody her sustenance, her breath, the lifeblood of her being. They are capable of immense love, devotion that consumes, that ignites the cells and nerves of their bodies as it radiates in limitless light. Yet, all the while, their incredible power lies entangled with fragile innocence, the naiveté of a new species with an insatiable urge to explore boundaries and test their wills. Their love is veiled with fear, and in that pairing, she beholds the poignancy that fills her with such hope and sadness. “Everything, Juliette. I’m mesmerized, enchanted by you and your world. I could stay here forever, for the rest of my life.” He picks her up easily, and she wraps her legs around his waist, the sheer panels of her silk shift, leaving her legs bared. Her hands clasp behind his neck as he carries her up the narrow stair and sinks to the edge of her bed. With a smile, he reclines, her slender body straddling his. “Your captain no longer wishes to erase me?” she asks, leaning over him, her quicksilver hair falling forward into a molten pool by his head. “Do you trust me?” she asks. “Yes,” she replies, without a choice, the betrayal never guaranteed. On the bed of gray fur, she engages in a dance of souls, offering him the sensuous experience of flesh that Earthlings so desire. She is responsive, radiating, probing the networks of his physical body with tendrils of light and energy. Subtle ripples of electricity activate the neurons in his skin, pulse with his blood, and breach the barriers of his brain. She surges through his thoughts, leaving his mind open, present, without the limitations wrought by fear. He is so terribly thirsty for love that she streams it into him, his soul expanding, flooding first the room, then blasting through the tower windows in a torrent of bliss. He is enraptured, uncontained, and borderless, one with the entire galaxy. She dances in him, thriving in his power, enriched by his love, her essence pure white light. A shift in his presence draws her into her body, waking her. The sheer webbing draped from the smooth branches billows as the door closes. On the windowsill, the candle has burned low, wax puddling and dripping in a long, bubbled strand down the wall. She rises and treads silently down the staircase, the light in her opalescent body darkening as she recognizes once again the looming end. “I beg you,” she whispers. “Don’t remove it. You don’t understand what you do; you don’t understand what you risk. Please, Quinn. Trust me, I beg you.” She slowly approaches him, her hand reaching for the box. Her words scarcely seem to register, his mind closed to all but his desperation. “I love you, Juliette. I have orders, but I won’t do anything to harm you. I love you.” He glances uselessly toward the clock face and then looks through the port. When she takes another careful step, his fingers reach into the box, the warning stark on his face. “Quinn, wait.” Her hands up, she retreats and sits on the chaise, calming the swirling light of her skin, the color muting to a soft blue. His tension eases and she breathes with him. “What do you mean, you’ll tell me the truth?” he asks quietly, his eyes on the ark’s rotating rings. Outside, the port-lights blink out. Quinn startles, fear rife in his eyes as he plucks the gem from the slot. Box and crystal clatter to the marble floor. Utterly alone, Juliette sits in silence for what seems an eternity. Slowly her form relaxes into its alien shape, a luminous mass of dancing light, a prism without hard edges, enclosed in an ethereal skin. Her castle is unchanged, candlelit, rich in detail, a sensory paradise. And devoid of all life but hers. She rises from the chaise and moves fluidly, rippling like water to the port. Outside the galaxy glimmers like diamond dust on black silk, and in the dim light of distant suns, she can make out the ragged edge of one broken ring on a dead ship. She flows toward the data-crystal, examining it and finding what she expects, a faint crack through its center, the world inside irreparably corrupted. Two centuries ago, she discovered the interstellar ark of corpses, her own ship damaged by the same spraying debris of a white dwarf gone supernova. Phasing her command module into the holocell took mere moments, but accessing the ark’s memory, making repairs, and encapsulating the data took more than twenty-four Earthling years. 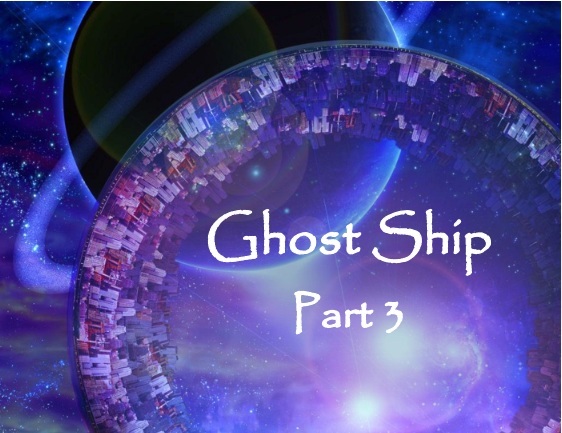 She didn’t have any data-crystals large enough and improvised, using sixty teardrop crystals from the chandelier she found in the ship’s amphitheater. They serve, but far from perfectly—each works only once. She sighs and smiles, human gestures she’s no longer free of, among other habits collected over time. She resumes her human shape, better for climbing on the chair that she drags to a spot below the chandelier. From the hearth, she retrieves the fireplace poker, and then standing on the seat, she reaches up to hook and retrieve a crystal, one of five large teardrops remaining. With the poker returned to the hearthstone, she picks up the ivory box, relieved to find it intact. She walks to the port, and with trembling fingers, inserts the crystal in the slot. Before her eyes, the slowly rotating rings reappear, their pearls of light sweeping slowly through a dark void. With a sigh of relief, she quickly returns the box to the mantel and pours two crystal goblets of Artemisia. The portal chimes and glides open. Outside, in the corridor, light-nodes glow softly on the tan walls and the ventilation system hums. A pair of wide-eyed crewmen in blues, gape at her with chins hanging. Between them stands a handsome young man, tall and broad-shouldered with sparkling blue eyes and a long mane of chestnut hair. A smile crosses her lips as her heart leaps ahead. In the center of the vaulted room, in her sheer silk shift, she lifts the goblets and offers one. The captain steps into the room and waves a hand across the sensor, the door clipping the noses of the gawking crewmen as it closes. “You’re not exactly what I expect to find when investigating a virus.” He accepts the goblet. This short story was my contribution to Five Elements Anthology, a collection of stories written by members of my writer’s critique group. 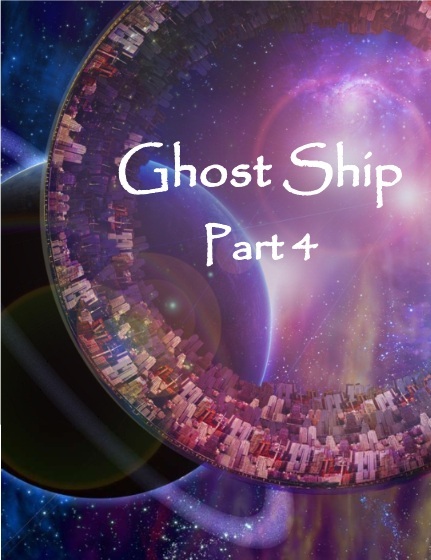 Each story had to include 5 elements: a ghost, an alien, a spaceship, a conflict with a boss, and a fireplace poker. If you want to read more… the ebook is available on Amazon for $0.99. All proceeds benefit Books for Kids, a children’s literacy program sponsored by Willamette Writers. Mid November and NaNoWriMo continues to provide a daily word-count challenge. I thought this was going to be easy – ha ha ha ha ha. Silly me. Whatever was I thinking? I’m keeping up, but my eyeballs are drying out and my neck needs a cracking. I’m a recluse, spending every second of free time plastered to the keyboard. I could use a shower and a meal, to be frank. I live in my pajamas. Hands behind his back, Quinn stands before Captain Landry’s desk, giving his oral report. Placards and framed memorabilia dug from the ship’s archives checker monotone walls, every indication that Caspar Chevall existed neatly erased and replaced. The thought depresses him well beyond the surface presentation. “How long is that to an alien species?” Landry narrows his eyes, the smirk on his lips cold. “She’s more than that. She’s—” Quinn’s jaw clenches as he clamps down on his emotions. “Yes, Sir.” Quinn’s back stiffens, further argument pointless. “Captain, Portence here.” The feminine voice clicks on, all business. “Yes, Sir.” Portence practically snaps a salute over the com. “Yes, Sir.” Quinn salutes, turns on his heel, and strides from the office. He marches around the corridor’s bend and punches the wall, his blood on fire. He wants to throttle the man. Technically, the order makes sense—a realization that burns him. It’s almost risk-free unless the threat is hardwired or somehow cloaked, or external, or…it all just seems so improbable. The peril Juliette presents is most likely a ploy, whether she knows about it or not, a holographic self-preservation program, or something odd like that. Perhaps the designer couldn’t bear to see his creation destroyed, which is exactly what would happen if the ship died. So why kill the ship? His back to the wall, he hangs his head. He’s in love with a holo, a ghost of an alien, after only a few intervals. Another rush of anger surges through him, jealousy of Chevall’s position as captain, his freedom to choose for himself, to live an entire lifetime with his love regardless of what or who she is. Chevall hadn’t cared and neither does he. Yet, if he doesn’t follow orders, someone else will. He can see Landry charging in there with a security detail, blind to the beauty, bent on destruction. The bullish man will put an end to Juliette, her candles and clock, her tapestries and spinning globe, her sparkling crystal chandelier, and all the intricate details of her world. He can’t let that happen. His eyes pop open to find Portence looking up at him. She crosses her arms. “It’s the holo, isn’t it? A shrug lifts his shoulders. “You can do that?” The possibility staggers him, and he can’t imagine why he didn’t think of it. NaNoWriMo continues and I haven’t dropped out or given in to the pressure. I have rediscovered what a SLOW writer I am. Yeesh! But it’s all good, all fun. As you may have noticed, the old blog is rolling slowly on with a 4-part short story in place of my meandering thoughts. 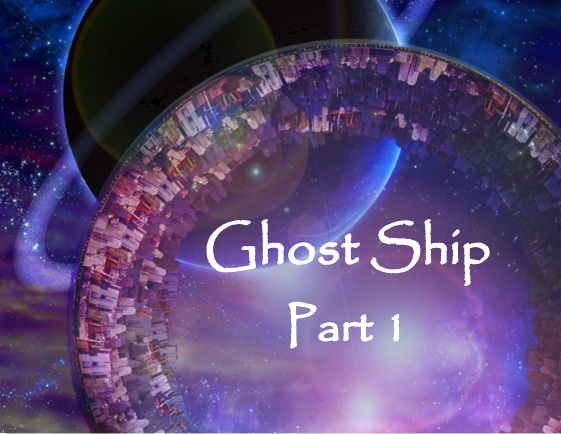 There’s a link to Part 1 here: Ghost Story Part 1 in the event you missed it and are interested in catching up. If installments are bothersome, you can download the entire thing HERE and disregard me until December when I begin haunting your blogs again. I miss the daily browsing. Yes, I do! Two crewmen on his heels, Lieutenant Quinn Morales strides the curved corridor toward the holocell. He runs a hand through his black hair, certain a cut looms in his near future. That and a shave, his stubbled chin chafing against the old dress code he suspects will make a prompt reappearance. A nagging headache forces him to squint, the light-nodes particularly harsh—or perhaps it’s his mood that grates, or the rare foods he didn’t get to eat, or Captain Landry’s hurried assumption of command. Whatever the reason, his blood pounds on his brain and his nerves could use the stability of a stiff drink. Caspar Chevall’s remembrance service had scarcely concluded when Landry hustled his officers from the post-assimilation celebration into the amphitheater for his promotion, oath of service, and acceptance speech. A stocky bull with a buzzed, blond top and something to prove, Landry’s first order entails shutting down Chevall’s holocell and beginning a system-wide purge of the virus, a protocol that will require the entire night to complete. “The captain’s hardly cold,” Wilton mutters to Longrow, the men trailing, clearly as perturbed about the assignment as he. Quinn smiles at the fondness behind the sentiment. The old captain was a hero to the crew, well-respected, even well-loved. Long before most of them were born, he relaxed the ark’s non-operational codes and customs. Rumor suggested he was something of a renegade as a younger man and wasn’t one to apply a different standard to the crew. As captain, he made life comfortable, turned a thousand military stiffs into a functional family with oversight of sixty thousand civilians. Life was good under Caspar, even if he loved his holo. “Remember the first time we saw her?” Wilton clears his throat, ignoring the gibe. “Maybe he was in love with his holo,” Quinn suggests. “But this conversation is over. We have orders.” Quinn narrows his eyes, discouraging any further argument, and sets off again down the corridor. He’ll assess, in no more hurry than they to blow himself up, despite the orders. Outside the holocell, he motions to Wilton and Longrow to halt. “You’re on the portal.” His hand brushes over the sensor, activating the chime. When the panel slides open, he steps backwards in astonishment. “See what I mean,” Wilton whispers and clears his throat. The holo is stunning, standing in the room’s vaulted center, waiting for him. Galaxies of blue light in her luminous skin appear to mutate, swirl, and shift into a shade closer to violet. Green eyes glitter softly as the slightest smile edges her lips, welcoming him. “Join me, Quinn.” She moves gracefully, her movements fluid, the silk of her indigo shift rippling, watery against her legs. “You know my name?” he asks, noting her access to the ship’s memory. “I’m Juliette.” From a small table she picks up two goblets, one extended toward him. Shutting his mouth, he glances at the gawking crewmen and enters the room, waving the portal closed behind him. “This place is amazing.” He accepts the goblet and sniffs the liquor. “That’s hard to imagine,” he states, though he has no idea why. Four hundred years have passed since they departed Earth, and nothing perilous has occurred in all that time. “Coloring our every choice,” he says with a laugh. She speaks the truth; he’s made his share of decisions based on a hot head or lusty heart, with mixed results—decidedly more sour than sweet. “Of course.” Appearing content to wait out his exploration, she accepts his goblet and curls on a chaise, tucking her feet under her legs. Fascinated by the moss on the stone walls, he ascends the narrow stair, its treads worn smooth as though others have climbed this way for thousands of years. Minute details astonish him, down to the acrid smell of the smoke coiling from fiery torches. At the landing, he encounters a sturdy wood door, iron-bound and riveted, set on heavy hinges. He takes a moment to figure out the latch and swings it open. The round room is a bedchamber with no ordinary bed. If forced to describe it, he would say it looks like a primordial tree, a colossal version of the arboretum’s meticulous cultivation. Gnarled roots curve outward, cradling a sleeping pallet strewn with blankets of gray fur. Serpentine branches arc overhead, draped with sheer webbing that billows gently in a warm breeze. He rests a hand on a branch and strokes the fur, holding his breath. Outside the open windows, a verdant world borders a silver expanse of sea, twin blue moons rippling on the waves. If the rest of the holo strikes him as Earthly, this is decidedly alien. When he returns to the main room, she pats the chaise, inviting him to sit beside her. “You know why I’m here,” he says, sinking to the plush velvet, the goblet again in his hands. She smells alluringly of…flowers. “I’m sorry.” He sips the Artemisia, the heady flavor coating his tongue as he avoids her eyes. His regret feels genuine, though it makes little sense to him. She’s a holo, like all the other programs he’s activated and deactivated, hundreds of times in his thirty years. “A warning of a consequence over which I have no control.” She rises and glides to the massive stone hearth. From the timber mantel, she lifts an ivory box, its sides carved with roses. When she returns, she sits closely beside him, her thigh and shoulder touching his, the box offered in her palm. “Your data-crystal.” She strokes the lid’s carvings as she rests her cheek on his shoulder. With her fingertips, she pinches the ivory handle and opens it. Inside, a softly glowing crystal, larger than any he’s ever seen, rests in a slotted base. “Why are you giving me this?” He twists to study her, not understanding. Was it a dare? A plea? A threat? Quinn rakes a hand through his unruly hair, the conversation disconcerting, the nearness of her body, her scent, and the feel of her distracting. He’s having a debate with a holo as if she’s a person, an alien albeit, but close enough. Disentangling himself, he stands and walks to the hearth, tamping down an unexpected surge of blood and desire. This isn’t supposed to be happening. He stares at the crystal, at the leaping flames, aware of the heat, the whole display so incredibly tangible. “I have orders,” he says, releasing a long exhale. The way she phrased it gives him pause, and he struggles to shake his uncertainty. He can’t do anything now without apprising Landry of the situation, and it won’t hurt to have evidence corroborating or contradicting the established suspicions. The excuse to linger sounds plausible enough. He nods, the brief reprieve welcome. The holo smiles and rises to kiss him. While I’m furiously scribbling for NaNoWriMo this month, I thought I’d keep the old blog rolling by coughing up a 4-part short story. . .
…s t r e t c h e d…o u t…o v e r…t h e…m o n t h.
If that drives you crazy, you can also download the entire thing in one fell swoop HERE and ignore me until December. Ha ha. Crystal glitters in the firelight, clear Artemisia glazing the sides of twin goblets. The stone room glows warmly, golden compared to the cool opalescence of her body and pinpricks of starlight drifting beneath her skin. She wears the same sheer silk shift of their first encounter. Gossamer as cobwebs, the skirt’s slit panels reveal slender legs and bare feet. Hair, pale as quicksilver, glints in the candlelight as slanted, emerald eyes regard the old captain. He lingers at the port, a stooped man dying of old bones, his life years beyond a common span, his hair a thin, white halo over a spotted scalp. How she loves him, this alien, for how many lifetimes, for how many hundreds of years. “Caspar?” She joins him for the view, handing him a goblet. “Juliette?” he replies with a smile, as if they are newly met strangers, his blue eyes bright despite the pain shredding his flesh. Their goblets chime and they sip the sweet liquor. Outside the ark slowly rotates, the star-swept expanse of space glittering beyond the ship’s outer rings, Earth’s last survivors contained within its sleek, metal hull. “So, we’ll both remember where we are and what’s important.” She gazes at the revolving rings, their tiny, round ports like a strand of luminescent pearls in a black sea. “Come sit by the fire, Love.” She takes his hand and leads him to the wide hearth, settling him on the chaise and lifting his feet. The old reference stings, though she knows he speaks in jest. “And why are Earthlings so invested in time? You are so determined to die.” She sits on the edge of the chaise, her goblet on a small, carved table beside her. “I know.” Gently she kisses him and then rests her shimmering cheek against the sharp bones of his skull, careful that her touch is light. To her, he is still the gallant captain, tall and broad-shouldered, his eyes moon-blue, chestnut hair a long mane of curls in spite of regulations. With a sigh, he closes his eyes, not asleep but resting, his face content. Before they first met, she created this room for him, and the illusion has morphed only by small degrees over the centuries. The soaring stone walls and vaulted ceiling are original, as well as the marble columns and floor. The giant chandelier with its dripping, crystal teardrops has lost a measure of sparkle as she slowly dismantles it, but the rest she’s fashioned with exquisite detail: dusky rose drapes with curved swags, the immense hearth, hundreds of ancient tomes in mahogany cases, smoky candlelight and gleaming mirrors, carved chairs and elegant tables, tapestries of bearded men hunting wild beasts, paintings of pink-skinned ladies with golden hair. She takes it all in as her eyes dew and the stars in her arms swirl. “You created all this for me, didn’t you?” he asks as he gazes at her. “Yes, over time.” She rises and shifts the logs in the coals with the iron poker’s hooked end. “Well, my ghost, until the next one.” He smiles, clearly disbelieving her wisdom. Then he dons a valiant face and rises, clutching her arm, his body trembling. At the portal, she kisses him, pours her light into him, once again sensing the young captain of ages ago. His hand flutters over the sensor and the panel opens. Light-nodes gleam down the gently arcing hallway, illuminating tan walls and gray carpet with the muted glow of designated night. The distant drone of the ventilation system serves as a backdrop to conversational voices. A pair of young crewmen in common blues nod and step aside as their captain shuffles into the corridor and the panel glides closed.